Since 1975, there has been at least one thing on which people can rely: Somewhere in the world, Bruce Springsteen is probably singing “Thunder Road” to an audience who knows all the words. 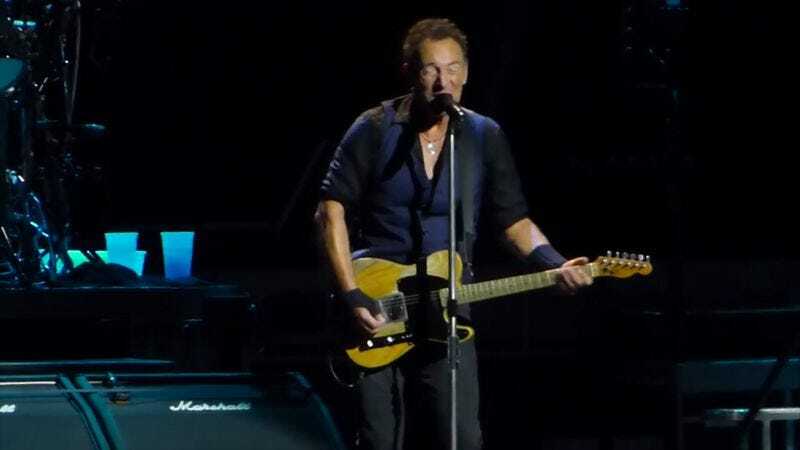 The poignant, bittersweet composition, first appearing as the introductory track on the landmark Born To Run LP, has been a part of Springsteen’s repertoire for decades. He has performed it in concert more than 1,000 times in arenas, clubs, hotels, and other venues. A newly assembled supercut by Phil Whitehead called “Bruce Springsteen: 41 Years On Thunder Road” shows the evolution of the song over time. The chronologically arranged video is assembled from footage of myriad live performances, and the quality ranges from crudely amateurish to slickly professional. Along the way, there are even some clips taken from TV shows like MTV Unplugged and VH1 Storytellers. Whitehead says his goal with this supercut was “to explore how a song like ‘Thunder Road’ has changed, not only in the way Springsteen performs it, but also how its meaning evolves with an older person singing.” Indeed, both of those themes are poignantly present here. The song’s arrangement advances and retreats numerous times over four decades, starting with a simple piano accompaniment before being treated to a full band rendition, then being pruned back to an acoustic number again. Sometimes Springsteen himself moves from the guitar to the piano for this song. The passage of time is also present in the epic sax solo at the song’s end. For the first few decades, it is performed by Clarence Clemons; then, after the musician’s death in 2011, it is inherited by his nephew, Jake. Through it all, Springsteen remains as invested in the lyrics at 66 as he was at 26.